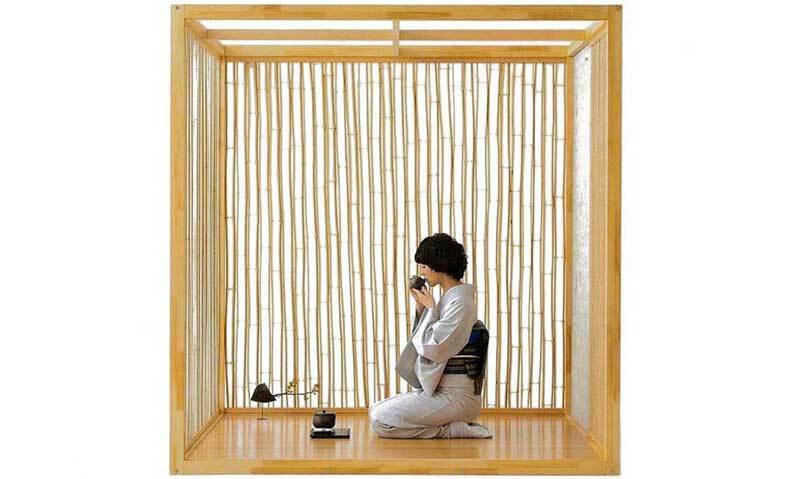 Japanese crafts people have a wonderful way of combining form and function within household items — just take this selection of stunning tea bowls, works of art in miniature. Bringing together art and design, the humble tea bowl is a prime example of the delicacy and beauty of Japanese ceramics. Read on for some extraordinary examples of Japan’s material culture, with our selection of 5 of the most intricate and unique tea bowls around. Raku ware is a type of pottery that is almost synonymous with Japanese tea ceremonies, characterized by being hand-shaped rather than thrown on a wheel, and developed in the sixteenth century. This beautiful Raku tea bowl is in the Sagawa Art Museum’s collection; its decorative raised features and colours of copper, cobalt and green is typical of Raku Kichizaemon, the son of the 14th Raku master Kakunyu (1918–1980). 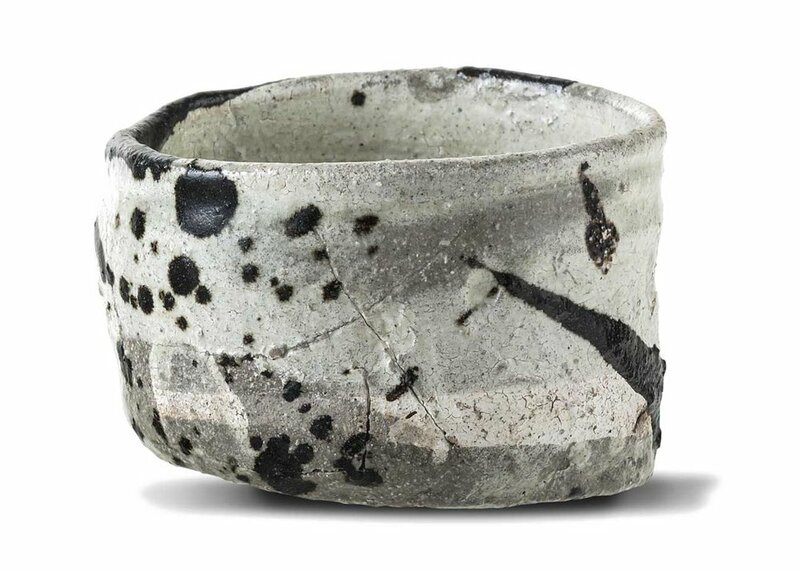 The monochrome colors of this tea bowl from 2004, by Japanese artist Ryoji Koie contribute to its textural, rugged feel; indeed, Koie uses mixed media such as clay and glass in his figurative sculptures, and the sculptural feel translates to his ceramics. Encapsulating a sense of spontaneity, you may struggle to drink your matcha tea from a piece like this — rather preferring to admire it from afar! This stunning black glazed tea bowl by Makuzu Kosai features a familiar motif in Japanese iconography: the mountain. The deliberate simplicity and elegance is what is striking with this beautiful bowl, with the ceramicist rejecting an elaborate, decorative style and choosing a monochrome palette. A beautiful example of less is more. 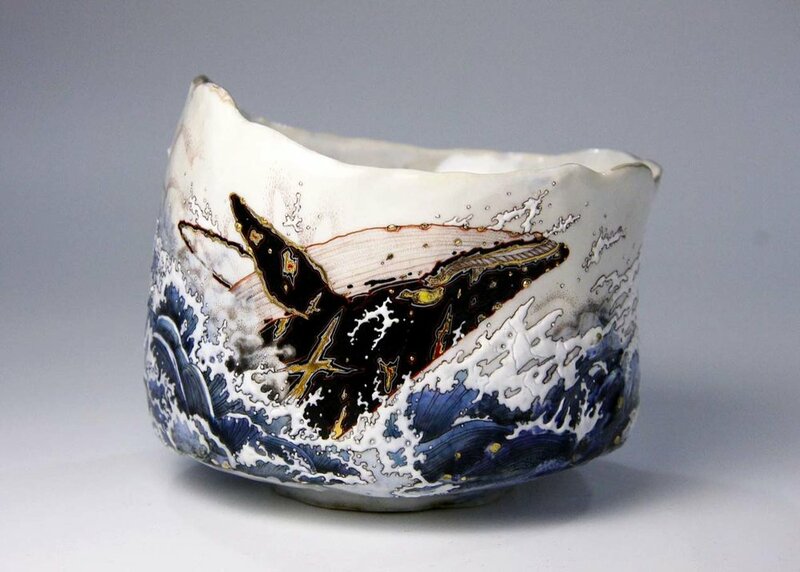 Japanese ceramics tend to feature nature heavily — but this piece by ceramic artist Yoca Muta is a particularly dramatic rendition of a whale, with beautiful additions of foamy waves, reminiscent of Katsushika Hokusai’s famous prints. The movement, drama and delicacy in this piece is extraordinary, with the white form of the tea bowl itself almost seeming to mirror the undulating ripples of the ocean itself. 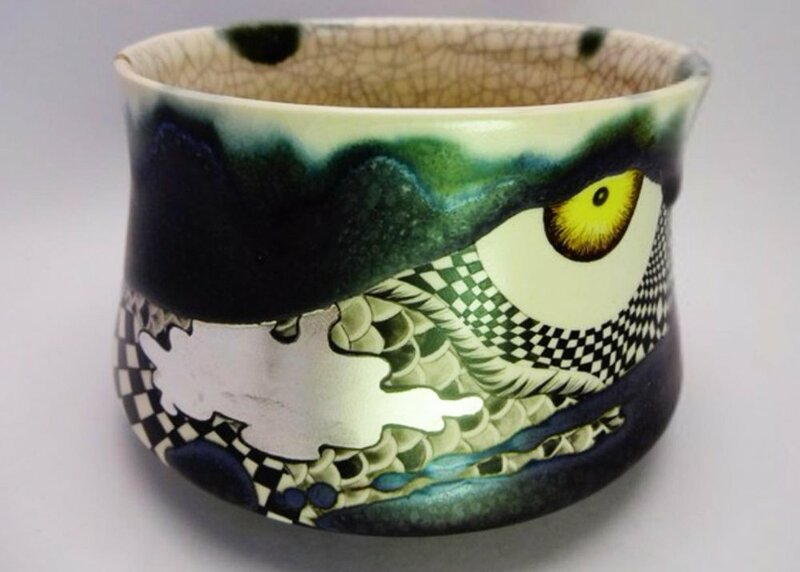 Self taught porcelain artist Kayoko Mizumoto creates these beautiful kutani style pieces. Originally deriving from Kutani, now a part of Kaga, Ishikawa, Kutani ware is known for its vivid, dark colors. It’s said that the style originated from the harsh winters of the Hokuriku region, meaning people in the region desired bolder, strong colors in their ceramics. Mizumoto’s piece, with its almost patchwork-like forms, rippling patterns and oscillating hues, captures the vibrancy of the style perfectly. Thinking about the tea bowl in a whole new way? Let us know in the comments below — we’d love to hear your thoughts!